Driver's Way in Pelham and Birmingham was designed from the customer's point-of-view. We are a pre-owned vehicle superstore offering hundreds of late-model, premium, inspected vehicles. We do not rent cars nor sell vehicles on consignment. We are a low-pressure, customer-friendly vehicle retailer that carries hundreds of vehicle makes and models. Every vehicle comes with our fixed, no-haggle pricing and is guaranteed not to have frame or flood damage. We are the way to a better vehicle! WHAT ARE DRIVER'S WAY CERTIFIED VEHICLES? 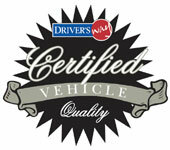 Driver's Way Certified Vehicles are late-model, low-mileage vehicles of exceptional quality. Most of these are in excellent condition and tend to have many more features and options than average. To qualify as Certified, vehicles must meet our high performance and reliability standards by passing our Pelham dealership’s 240-Point Total Inspection, and then undergoing one of the most rigorous reconditioning processes in the industry. Certified Vehicles come with our Peace-of-Mind Protection Plan, which consists of a 3-day/250-mile return policy, a 30-day/1,000-mile exchange policy, and a 3-month/3,000-mile Driver's Way limited warranty. So if it doesn't fit, bring it back! Car buying doesn't get any easier or smarter than this. It's all about freedom and choice for you and your family. DO YOU OFFER ANY BUDGET VEHICLES? Driver's Way Value Vehicles may have body, trim, or cosmetic imperfections. Value Vehicles undergo the same 240-Point Total Inspection as Certified units, helping to ensure sound mechanical performance. However, at our discretion, minor non-mechanical items may sometimes not be fixed (examples: scratched or dented trim, worn upholstery, bumper scratches, etc.). These vehicles also undergo a light reconditioning process. As their name implies, they exhibit good value for the money. All Value Vehicles come with a 3-day return policy and a 90-day/3,000-mile Driver's Way limited warranty. They are often trade-ins that do not meet our requirements for exceptional quality. They usually have body, trim, or cosmetic imperfections. These vehicles are usually older, higher mileage models that are offered as inexpensive transportation solutions for our guests on a budget. Clearance vehicles have a basic inspection and are only available for a limited time before being sent to auction. Clearance vehicles come with a 3-day/250-mile return policy and a 30-day/1,000-mile Driver's Way limited powertrain warranty. They are inexpensive trade-ins that also don't meet our requirements for exceptional quality. They will have imperfections. Because of their higher mileage and age, these budget models are being sold As-Is, with no stated or implied warranties. As-Is vehicles have had a basic inspection, and like all our cars, you are welcome to test drive them to the mechanic of your choice to be thoroughly checked out. As-Is vehicles do not have any return policy or warranty. DO YOU TAKE TRADE-INS? DO YOU BUY VEHICLES? Driver's Way accepts all types of trade-ins and will give you a written trade-in offer on your vehicle, good for 7 days or 300 miles. You are free to decide what option is best for you with regards to your trade - we are here to make both the buying and selling processes comfortable and effortless for you. Driver's Way also purchases most makes and models of vehicles. For those guests interested in selling their vehicle, Driver's Way offers free, professional, no-obligation appraisals on purchase-only vehicles (that means we'll buy your vehicle regardless of whether you decide to purchase one of ours!). We present extremely competitive cash offers to all customers on most makes and models, even those that do not meet our standards for exceptional quality and performance (we send such vehicles to auction). Vehicle appraisals are available seven day a week - no appointment necessary. CAN YOU HELP ME GET A LOAN? Driver's Way offers competitive on-site financing options through numerous independent banks and credit unions. With one fast, free credit application, the Driver's Way Finance Team will search a broad array of lenders to find the best loan for you in the Pelham area. There is no obligation and usually, we have an answer for you the same day. Once an appropriate loan is found, the Driver's Way Finance Team provides you the rate up front, including an overview of your payment plan. Our friendly associates will gladly demonstrate how changing your down payment, the length of the loan, and adding protective services such as Gap Insurance or an Extended Service Plan will impact your monthly payment. CAN I GET EXTRA PROTECTION, SERVICE WORK AND DETAIL WORK DONE AT DRIVER'S WAY? Driver's Way offers Extended Service Plans for those customers who wish to protect their investment. These plans grant you cost-free repairs (on covered items) completed at Driver's Way, local dealers, or your favorite mechanic, as long as the repair facility guarantees the parts and labor for 6 months or 6,000 miles. Driver's Way proudly offers a variety of plans to suit your driving needs. Driver's Way also offers a comprehensive Service Department and Detail (Reconditioning) Department where you can bring your vehicle for maintenance, repair, and detail services. Whether you need a full detail, paintless dent repair, windshield repair, tune-up, or some other vehicle enhancement, we can do it! To enhance your vehicle, we offer a selection of accessories like leather, towing, and entertainment packages. WHAT IS THE HISTORY OF DRIVER'S WAY? Driver's Way was born in 1999 when Driver's Mart of Birmingham relinquished its name following an AutoNation acquisition of the Driver's Mart chain. All 15 other Driver's Mart sister locations assumed the AutoNation name, while the Birmingham location re-branded itself as Driver's Way and began the process of evolving into a premium used car superstore. For over a decade, Driver's Way has worked to establish itself as a friendly, low-pressure, honest retailer of premium pre-owned vehicles. Driver's Way currently operates two locations in Birmingham, Alabama. 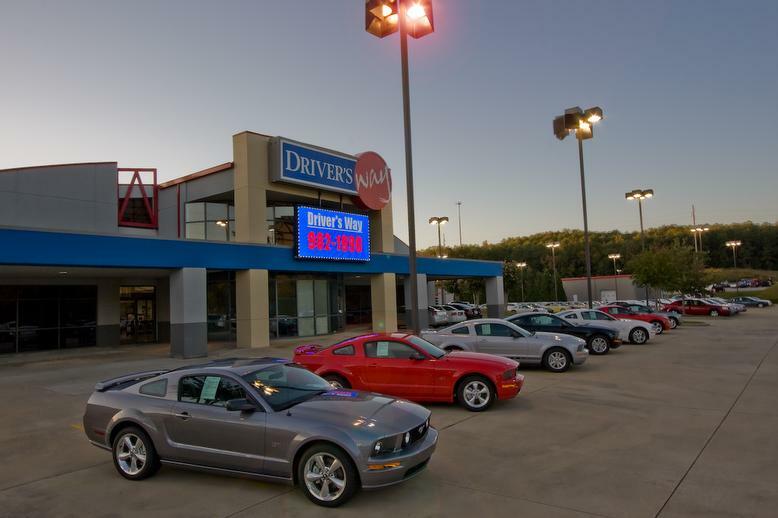 If you’re shopping for a high-quality used car in the Pelham area, visit Driver’s Way today. Our experts are happy to help!